visum 2016 is the fourth VISion Understanding and Machine intelligence (visum) Summer School that targets to gather at Universidade do Porto, Portugal, Ph.D. candidates, Post-Doctoral scholars and researchers from academia and industry with research interests in computer vision and machine intelligence. Ruben Vera-Rodriguez received the M.Sc. degree in telecommunications engineering from Universidad de Sevilla, Spain, in 2006, and the Ph.D. degree in electrical and electronic engineering from Swansea University, U.K., in 2010. The topic of his Ph.D. thesis was on multimodal biometrics with an emphasis on footsteps as a novel biometric. Since 2010, he has been with the Biometric Recognition Group, Universidad Autonoma de Madrid, Spain, first as the recipient of a Juan de la Cierva Post-Doctoral Fellowship from the Spanish Ministry of Innovation and Sciences, and as an Assistant Professor since 2013. His research interests include signal and image processing, pattern recognition, and biometrics, with emphasis on signature, face and gait verification and forensic applications of biometrics. Dr. Vera-Rodriguez is actively involved in several National and European projects focused on biometrics. Currently, he is transferring state-of- the-art dynamic handwritten signature recognition technology to CECABANK for use in a large part of the Spanish banking sector. He was the recipient of the best paper award at the 4th International Summer School on Biometrics, Alghero, Italy, in 2007. His research interests and areas of expertise include signal and image processing, pattern recognition, and biometrics, with emphasis on signature and fingerprint verification, multi-biometrics, biometric databases, system security, and forensic applications of biometrics. Dr. Fierrez has been and is actively involved in multiple European projects focused on biometrics, e.g., FP6 IP BioSec IP, FP6 NoE BioSecure, FP7 ITN BBFor2, FP7 STREPs Tabula Rasa and BEAT. 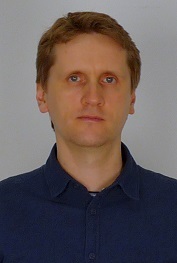 He is also the recipient of a number of distinctions for his research, including: Rosina Ribalta Award to the best Spanish Ph.D. proposal in ICT in 2005, Best Ph.D. thesis in Computer Vision and Pattern Recognition in 2005-2007 by the IAPR Spanish liaison (AERFAI), Best Paper Awards at ICB 2006 and 2015, EBF European biometric industry Award 2006, EURASIP best PhD Award 2012, and Medal in the Young Researcher Awards by the Spanish Royal Academy of Engineering 2015. Hatice Gunes led the Affective and Human Computing Lab while at Queen Mary University of London (2011-2014), and she joined the Computer Laboratory of University of Cambridge as a Senior Lecturer (Associate Professor) in January 2016. 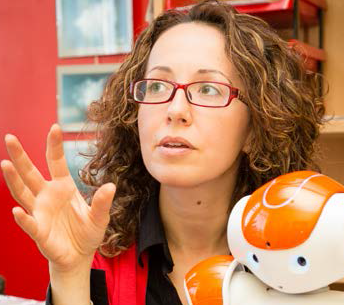 Her research expertise is in the areas of affective computing and social signal processing that lie at the crossroad of multiple disciplines including computer vision, signal processing, machine learning, multimodal interaction and human-robot interaction. She has published over 80 papers in these areas (Google scholar citations > 2000, H-index=21). She pioneered research on multimodal behaviour and affect analysis proposing novel machine learning models and pushing the state of the art to real-time, dimensional and continuous prediction and recognition of facial and bodily affect, and personality. Under EPSRC MAPTRAITS project she proposed a new conceptual framework for analysing perceived personality in real-time. Her recent work focuses on Digital Personhood through the EPSRC Humans and Robots in Public Spaces Project that aims to to produce greater social cohesion and integration in public spaces, and increase access to public spaces in robot proxy forms. Dr Gunes currently serves on the Executive Committee and the Management Board of the Association for the Advancement of Affective Computing (AAAC) and the Steering Committee of IEEE Transactions on Affective Computing. She is also an Associate Editor of IEEE Transactions on Affective Computing and IEEE Transactions on Multimedia. She has edited Special Issues in International Journal of Synthetic Emotions, Image and Vision Computing, and ACM Transactions on Interactive Intelligent Systems, and acted as an organiser and chair of EmoSPACE’15, MAPTRAITS’14, HBU’13, EmoSPACE’13 , AC4MobHCI’12 , EmoSPACE’11, as a workshop chair for ACII'15, doctoral consortium chair for IEEE FG'15, as grand challenge chair for ACM ICMI'14 and ACM ICMI'16, as an Area Chair for ACM Multimedia'15, ACM Multimedia'14, ACII'13, ACM ICMI'13 and IEEE ICME'13, as panel organiser for the panel on Emotional and Signals in Multimedia (ACM MM’14), and as a reviewer for numerous journals and conferences in these fields. Dan Ciresan received his PhD in Computer Science from Universitatea Politehnica Timisoara, Romania, in 2008. He is a senior researcher at Dalle Molle Institute for Artificial Intelligence (IDSIA), Switzerland. Dr. Ciresan is one of the pioneers of using graphics cards for accelerating Deep Neural Networks (DNNs). His methods have won five international competitions on topics such as classifying traffic signs (2011), recognizing handwritten Chinese characters (2011), segmenting neuronal membranes in electron microscopy images (2012), and detecting mitosis in breast cancer histology images (2012 & 2013). Dr. Ciresan’s DNNs have significantly improved the state of the art on a plethora of image classification, detection and segmentation tasks. Similar neural network architectures are now widely used both in academia and in industry. He is currently the head of the Medical Image Analysis group at the Institute for Surgical Technology and Biomechanics at the University of Bern, Switzerland. Before that he received his bachelor degree at the University of Santiago de Chile, Chile in 2001. His thesis Three-dimensional Reconstruction of a Human Embryo Hand Using Artificial Vision Techniques was awarded best Electrical Engineering bachelor thesis work. Later on, during 2002-2004, he conducted studies to obtain a Ph.D. degree in computer sciences from the University of Nice, France on the topic of lung cancer imaging and breathing compensation in emission tomography, under the supervision of Prof. Dr. Grégoire Malandain, Asclepios research project (formerly known as Epidaure). Alicia Fornés received the B.S. degree in Computer Science in 2003 from the Universitat de les Illes Balears (UIB) and the Ph.D. degree in 2009 from the Universitat Autònoma de Barcelona (UAB). She also finished the piano studies at the Conservatory Superior of Music of the Illes Balears in 2001. Her Ph.D. work was focused on writer identification of old music scores. She was the recipient of the AERFAI (Image Analysis and Pattern Recognition Spanish Association) best thesis award 2009-2010. She is currently a researcher at the Computer Vision Center. She has participated in several research projects (including European projects). She has published more than 60 papers in international conferences and journals. Since 2011, she is the newsletter editor of the IAPR TC-10 (“Technical Committee 10 on Graphics Recognition”). She has done several research stays abroad, including the University of Bern (Switzerland), the University of La Rochelle (France) and the Osaka Prefecture University (Japan). Her research interests include document analysis, historical documents, handwriting recognition, symbol recognition, optical music recognition, and writer identification. Farfetch is an innovative e-commerce company that brings the world's best fashion boutiques to an international audience. Founded by the Portuguese entrepreneur José Neves in 2008, Farfetch offers to more than 400 iconic boutiques the opportunity to compete with the major online retail players and connect with customers worldwide, at any time. As for fashion lovers, it guarantees the access to the best products, offering the chance to indulge a passion and shop the world. Our more than 400 partner boutiques have been carefully selected for their unique approach, forward-thinking attitude and diversity, and include such renowned boutiques as Browns in London, L’Eclaireur in Paris, H. Lorenzo in LA, Fivestory in New York and Smets in Luxembourg. Farfetch is rapidly growing into a truly global company. Our family now includes more than 1100 talented people working from London, New York, LA, Porto, Guimarães, São Paulo, Tokyo, Hong Kong, Shanghai and Moscow. The Portuguese team counts with more than 500 talented people and we are working to welcome more amazing people to this technology/fashion meeting. 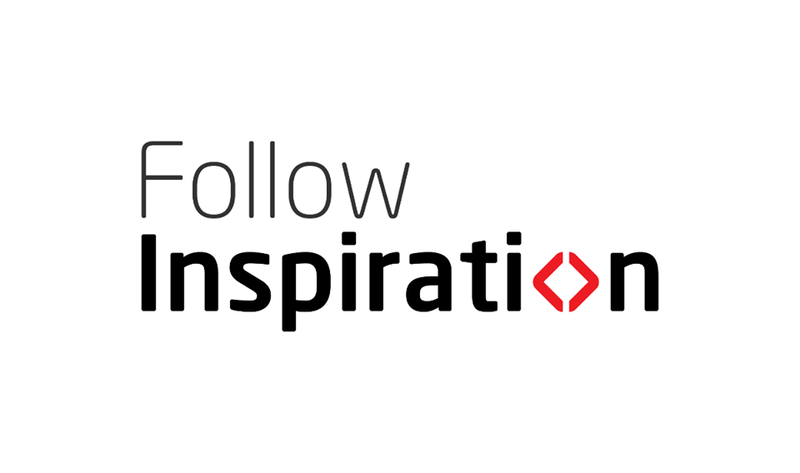 Follow Inspiration is a technological company founded in 2012. The company has strong expertise in hardware and software development, specifically in the field of automation and image recognition. At the core of its foundation is the development of a unique, patented product, the wiiGO, an autonomous and self-driven shopping cart, designed to follow people with or without reduced mobility in commercial environments. All made possible through a state-of-the-art technology based on vision recognition that not only enables the wiiGO to identify its user, but also enables the device to detect and avoid any obstacles along the way. Besides retail, the wiiGO can also be applied to industry and airports, improving processes and spending up businesses. At Movvo we are a team full of talented specialists in data mining, marketing, software and hardware engineering, whom we like to call our "Movvers". Our aim is to provide retailers, shopping mall owners and marketing professionals with a detailed insight and understanding of shopper's behaviours. Combining tracking technology with a powerful algorithm, we use our knowledge to drive increased profits and business growth.